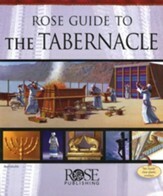 Rose Publishing top 30 Bible reference materials, teaching tools, books, pamphlets, DVDs, and PowerPoint® presentations. 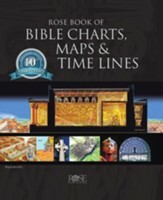 Rose Book of Bible Charts, Maps & Time Lines has been a must-have resource for every Pastor, teacher and Bible study leader for the past ten years. 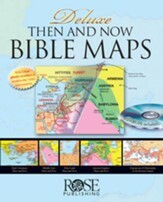 Now get the updated and redesigned Anniversary Edition of this best-selling book, Rose Book of Bible Charts, Maps and Time Lines 10th Anniversary Edition! Enjoy this best-selling book expanded with new charts, upgraded maps highlighting modern-day cities and countries, and up-to-date facts and statistics! 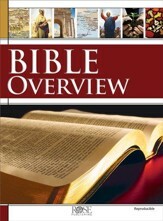 Includes 216 reproducible pages of illustrations, charts, and maps on a variety of Bible topics, with two fold-outs of the genealogy of Jesus, cutaway Tabernacle illustration and Bible Time Line. 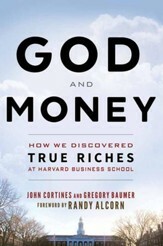 John Cortines and Gregory Baumer met as Harvard MBA candidates in a men's Bible study and stopped asking "How much should I give?" and started asking "How much do I need to keep?" With their top-notch education and rising careers, Cortines and Baumer were guaranteed comfort and security for the rest of their lives. However, when their plans for saving and spending collided with God's purposes for extravagant generosity, they were each compelled to make a life-changing decision that challenges the values held by mainstream America and many Christian commentators. Cortines and Baumer show not only how radically give, but explain how to do so responsibly. From the parables of the Rich Young Ruler to the Widow's Mite, the Bible shows us that how we manage our money is critical to our relationship with God. God and Money uses these parables and more to teach you to save, spend, and steward your money in a biblical way by planting God's purposes at the heart of your practices. 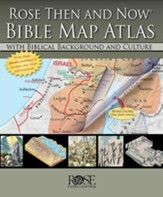 This incredible full color 44-page Bible atlas has clear plastic overlays of modern-day cities and countries. Fits in the back of your Bible or in your Bible cover. From Muslims to Mormons, there are over 77 million people in America who do not believe in biblical Christianity, according to a recent PEW Report. Now you can easily compare their beliefs to Christianity with this quick-reference pamphlet! Over 1 million copies sold! 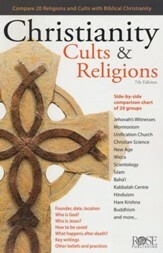 Christianity, Cults and Religions is the Best-Selling Cults and Religions Comparison Chart. 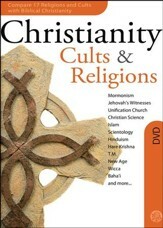 Compare 20 cults, sects, and religions. Christianity, Cults and Religions will help you know what you believe and why! Packed with side-by-side comparison charts, simple summaries, and up-to-date overviews, this easy-to-understand pamphlet will help you quickly compare the key beliefs of 20 different religions and cults to Christianity! See what they believe, what Christians believe, and how to correct common misunderstandings— at a glance! Strengthen your understanding of Christianity and get practical insight on how to reach out to those of different faiths, including Muslims, Jehovah's Witnesses, Buddhists, Mormons, and more! Perfect cults comparison handout for Bible Studies, Sunday school classes, and homeschool curriculum. 14 panels, fits inside most Bibles, 8.5 x 5.5 inches, unfolds to 38 inches long. In the Wilderness of Sinai, the Tablernacle was the special "tent of meeting" that God instructed Moses to build. Drawn to Bible measurements, all the important features are pointed out here in full color: the High Priest, the Brazen Altar, the Holy Place, the Holy of Holies, the Ark of the Covenant, the Pillar of Fire, etc. More than a dozen illustrations and diagrams explain the sacrificial system, symbolism that points to Jesus, and the pattern of worship. Find out the importance of these in Moses' time, Jesus' time, and today. 14 colorful, laminated pages; 8.50" x 5.50". God commanded Moses and the Children of Israel to observe these feasts and holy days as memorials to the great things that he had done in their lives. These are holidays that Jesus observed all through his life. See how these special days point to Jesus as the promised Messiah. 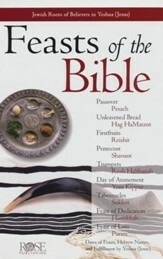 Includes Hebrew lettering, pronunciation, the Jewish calendar, symbolism, and Bible references for the feasts and their New Testament fulfillment. Passover, Unleavened Bread, Firstfruits, Shavuot (Pentecost), Rosh HaShanah (Feast of Trumpets), Yom Kippur (Day of Atonement), Sukkot (Feast of Booths), Simchat Torah, Hanakkah (Chanukah), and Purim. 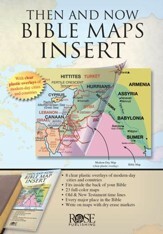 1 full-color laminated pamphlet fits inside most Bibles, 8.5" x 5.5" and unfolds to 33" long. 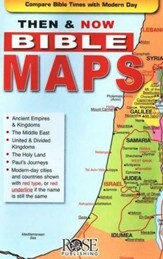 The Holy Land: Then (1300 BC Twelve Tribes) and Now (modern times) uses color coding to show Canaan divided by the Twelve Tribes, and the historical and modern-day names of cities within the regions. Paul's Journeys: The (AD 47-62) and Now (modern times) shows the locations of the Seven Churches of Asia (modern day Turkey) found in Revelation 1-3, as well as cities and towns, ancient ruins, mountains, modern capital cities and a key for measuring the distance traveled from city to city. Empires & Kingdoms: Then and Now® shows the changing boundaries of the Assyrian Empire, Babylonian Kingdom, and Persian Empire. Rose pamphlets have 14 laminated panels, are 8½" x 5½", and unfold to 38"—perfect to slide in most Bibles. 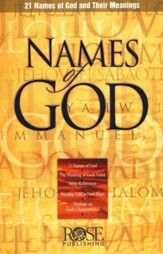 There are many names for God given in the Old Testament, and each has a special blessing for us. Elohim means The All-Powerful One. El Shaddai means The All Sufficient One. Jehovah-Rapha means The Lord Who Heals. This chart shows 21 Old Testament names of God, gives the definition, a scripture reference, and shows how to apply it to our lives today. This full-color glossy, 12-panel pamphlet is 8 1/2" x 5 1/2" and unfolds to 33" long. It also fits inside most Bible covers. How to use the pamphlet to worship God, one name at a time. Church history is not about names, dates, and facts. It is about the flesh and blood people of God and the life and death issues that have shaped their struggles and joys for two-thousand years. 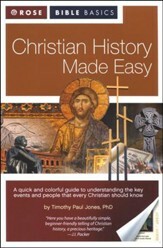 Christian History Made Easy makes this story come alive! In the late afternoon sunlight, the Temple Mount in Jerusalem is one of the most breathtaking places in the world. This was the site of Solomon's great Temple, a "house of prayer for all people" - the center of worship and celebration. For centuries it stood, until the Babylonians captured Jerusalem and destroyed the Jewish temple. The devastation was both physical and spiritual: the Temple was an awesome structure, but it was also the place of the Lord's presence with his people, the place of worship. 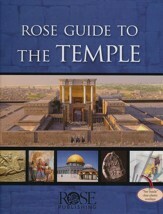 About seventy years later, the people returned to Jerusalem and built a second temple. It wasn't as spectacular as the original, and those who remembered Solomon's golden pillars, wept over the difference. Yet it was the house of God to the exiles who came home. The exciting events in the Bible took place thousands of years ago--in a culture very different from today's modern world. Author Dr. Paul Wright has lived in Jerusalem for many years and teaches about the culture, politics, and geography of the Bible. With a wonderful gift for storytelling, Paul opens up the world of the Bible in ways that will help you understand the stories of beloved Bible characters. Discover why Naomi, in the book of Ruth, couldn't just move back to Bethlehem after her husband's death and farm his land again. What's in a name? In God's case, everything! 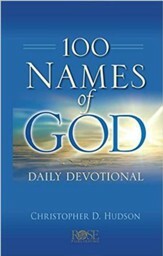 From Elohim (Mighty Creator) and Jehovah Ezrah (My Helper) to Logos (the Word) and Basileus Basileon (King of kings), Hudson reflects on the meanings of God's titles to reveal his true character---and to encourage you to open your heart to the presence of El Chai (the Living God). 160 pages, padded hardcover from Rose. This 6-session DVD is for small groups that wish to know more about the differences between various religions and cult groups, from a Christian perspective. It can be used by itself, but is most effective when used with the leader guide, participant guide, fold-out comparison chart Christianity, Cults & Religions pamphlet, and Rose Bible Basics: Christianity, Cults & Religions. This leader pack includes the six 30-40 minute video sessions, a PDF of the Leader Guide which may be printed out, and the PDF files for posters, fliers, handouts, bulletin inserts, and banners. Participant guides are purchased separately. Have you ever wondered who wrote the books in your Bible and how they ended up together? Has anyone ever told you that some books were cut out of the Bible or that the stories of Jesus in the Gospels can't be trusted? Through these six sessions, Dr. Timothy Paul Jones will answer your questions about how we got the Bible. 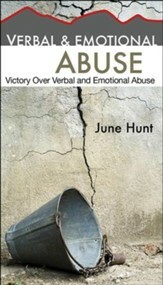 The DVD consists of six 25-35 minute sessions. Participant Guide, Leader Guide, and reference handbook may be purchased individually. These three little words are so simple, so complex, and yet so powerful! These words give us permission to let go of recent irritations or long-held grudges of minor offenses or festering hurts that keep us up at night. Some people never say "I forgive you," and they live in bitterness while others find the way to forgiveness and peace. What makes the difference? Do you know how to. Deal with unforgiveness in your heart? Protect your heart from bitterness? Relationships filled with resentment ultimately perish-relationships filled with forgiveness ultimately prevail. 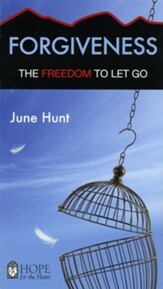 Learn how you can be an expression of God's grace by forgiving others and find the freedom he intended you to have. Do you feel the darkness of depression closing in on you? Do you see no light at the end of the tunnel? 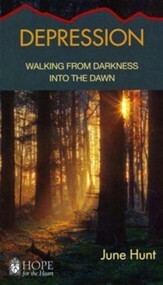 Can anything dispel the darkness and bring back true peace and contentment to your heart? The answer is yes--you can exchange the darkness of despair for the light of hope! What are the physical, emotional, and spiritual causes of depression? What is the root cause of staying stuck in depression? What symptoms characterize the four types of depression? What is God's purpose for permitting depression? How can family and friends offer real help? When your heart is pressed down to the ground and living life makes you feel depressed, allow your depression to press you closer to the Lord...let him lead you through the storm and into the night. 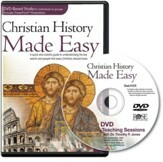 The 12-session study, Christian History Made Easy. Dr. Timothy Paul Jones takes you through the most important events in Christian history from the time of the apostles to today. He brings to life the fascinating people and events that shaped our world. This isn't dry names and dates. It's full of dramatic stories told with a touch of humor. This series, based on Dr. Jones' popular award-winning book Christian History Made Easy, ties in spiritual lessons believers can glean by looking at the past, and shows how God was still working in his church despite all the ups and downs. PDF files for promotional posters, fliers, handouts, bulletin insert, and banners. 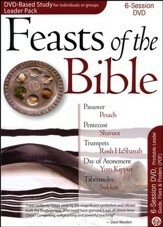 The Feasts of the Bible DVD Pack for group study is six 30 minute sessions with Dr. Sam Nadler on (1)Sabbath Rest (2) Passover, Unleavened Bread, and Firstfruits (3)Pentecost (4) Feast of Trumpets (5) Day of Atonement and (6) Feast of Tabernacles. Also included with the DVD are PDF Files for the Leader Guide, Poster, flier, postcard, bulletin insert, and banners for promotion. 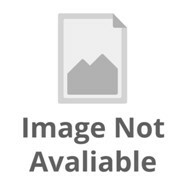 You need to purchase a Participant Guide for each person (WW364677) which includes the discussion and application questions, definitions, comparison charts, and extra information. 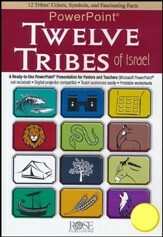 A complete Curriculum Kit is also sold separately: (WW364646). 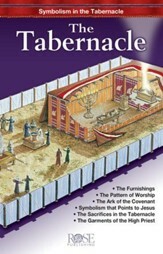 This new The Tabernacle DVD is a fantastic 6-session video-based study on the biblical Tabernacle, and is perfect for your personal study, church small group, or Sunday school class. Learn more about this movable tent of meeting in the wilderness of Sinai where God dwelled with his people. Each session is about 25-35-minutes long. Designed to be used with the Participant's Guide (SKU: 366404); a Leader Guide is also available (SKU: 366398). Prepare your children to defend themselves from the attacks of the enemy! 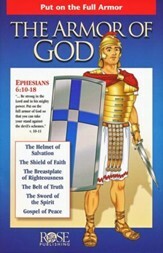 Illustrating the well-known passage from Ephesians 6:10--18, this laminated wall chart depicts the helmet of salvation, breastplate of righteousness, and more along with an explanation of each piece of armor. Reproducible work sheets on the back help students apply the principles of spiritual warfare. Measures 19" x 26". This Bible Bookcase is an old favorite for Sunday school classrooms. The bright colorful wall chart shows all 66 of the books of the Bible in their categories (Books of the Law, History, Poetry, the Major and Minor Prophets, the Gospels, Epistles, etc.) Color coding helps students identify the books. Reproducible worksheets on the back include a miniature of the chart in English and Spanish versions, one blank and one filled in. Laminated; Wall chart size: 19.5" x 26". Tabernacle PowerPoint allows you to use PowerPoint software to show images of the Tabernacle on a computer screen or project it using a digital projector. 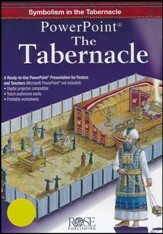 This fantastic teaching tool provides a look inside the Tabernacle and explains its many features, such as the Ark of the Covenant, the High Priest, the Golden Lampstand, and the Sacrifice. 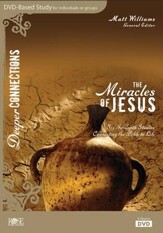 Participants will recognize Christ throughout the teaching. Requires Microsoft PowerPoint 2001 or higher installation (this CD Does not come with the PowerPoint application). Requires Adobe Acrobat/Reader to print the slides as handouts. Tabernacle PowerPoint contains PC and MAC versions.